If you asked me a year ago if I was familiar with Docker, my answer definitely would have been something along the lines of “What’s a Docker?” 🤔. Hi, I’m Chloe, and I’m a Developer Evangelist at Codefresh, former actress, and newly minted engineer straight out of Hackbright Academy. Although I am newer to the engineering world, I’m no stranger to learning new technologies on a weekly (sometimes daily) basis. 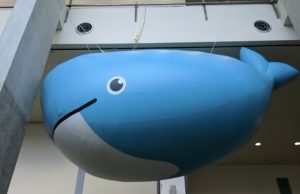 Although each technology/product/language has its own documentation, communities, and excitement around it, I don’t think I could have prepared myself for the passionate group that is the Docker community. And, let me tell you, they’re one of the most enthusiastic and exuberant groups of people I have ever encountered. When I was hired at Codefresh back in March, I knew that one of the first conferences I would attend in my new role would be DockerCon. I had been doing a lot of learning on my own about Docker through various online resources and Bret Fisher’s Udemy course, but I had yet to interact with any Docker users outside of my office in Mountain View, California. The weekend before DockerCon I crafted a fun little perler bead craft of this year’s retro conference logo. To say I was “pumped” would have been an understatement. We landed in Austin on Monday, and arrived to see our lovely Codefresh booth on the Expo floor. I expected there to only be a handful of people there (seeing how it was a Monday evening and people were starting to filter in to Austin from various parts of the world), but boy was I wrong; the expo floor was packed, and the energy in the room was electric! I stayed at the booth, helping by giving demos, talking to other engineers about our product; I even had a couple Docker Captains stop by the booth to chat and say hi! 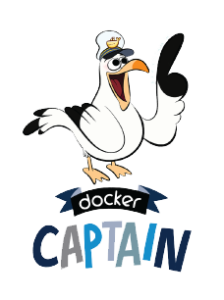 As someone newer to Docker, it seemed like these “Captains” would be an amazing resource. 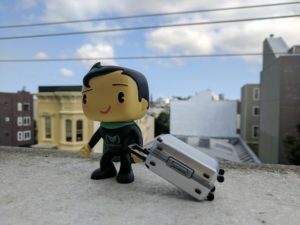 I reached out to all of them in the days leading up to the conference, and before I knew it, I was scheduling coffee and “Moby Mingles” (DockerCon’s super easy way to book 1:1s) with a whole bunch of them! Not going to lie- I was a little intimidated to meet with these Docker pros, but hey- everyone has to start somewhere, right? And thus began my quest to fill my imaginary Docker Captain BINGO card. It may have come at the cost of being a bit of a Docker Stalker (terrible pun, I know), but as I’ll mention later- it was absolutely worth it! To my surprise, several Docker Captains stopped by our booth on Monday night! I got to meet Dwayne Lessner (Sr Technical Marketing Engineer at Nutanix), Andrey Sibiryov (SRE, Uber), Phil Estes (Docker engine maintainer) and Stefan Scherer (Software Engineer at SEAL Systems, Docker Pirate at Hypriot). All four of them gave me really great tips on how to get more involved with the Docker community, and I’m excited to hit the ground running when I head back to the Bay Are next week. Check out my next blog on Day 2!